Holy cow this weekend was awesome but it completely flew by too fast. Times flies when you’re having fun definitely reigns true. I have officially fallen into a smoothie kick. I am so excited to be able to incorporate more fruits and veggies into my diet albeit certain veggies may need to be in puree form for the time being. 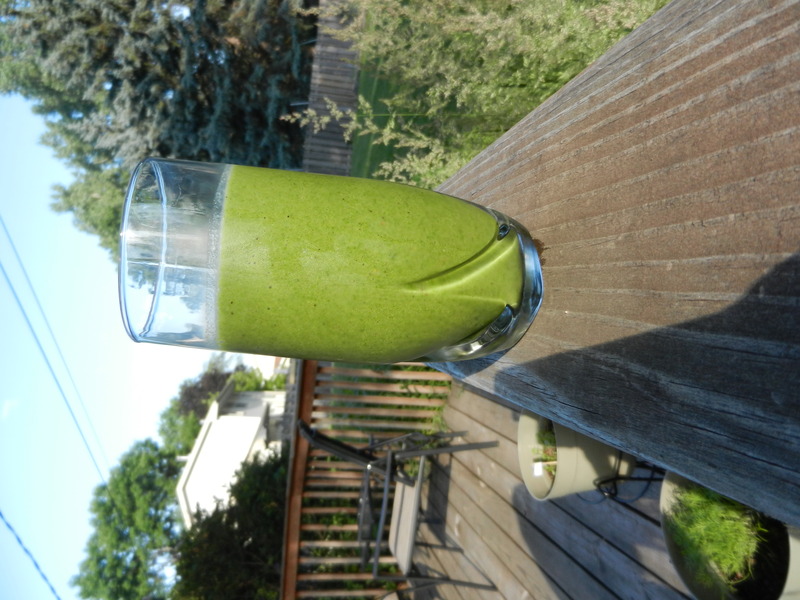 My smoothie kick started on Friday after becoming so fed up with eating the same old foods day in and day out and not only needed more variety in my diet, but really needed more fruits and vegetables. I am not able to eat raw veggies because of the U.C. so I have been racking my brain for any type of creative ideas to incorporate more green into my diet. There are options such as steaming and baking to soften the veggies and make them easier on digestion, and I have been doing some of that, but I was looking for something else still. This is where the smoothies have been coming into action. My smoothie on Friday was okay. It wasn’t wonderful but wasn’t horrible. 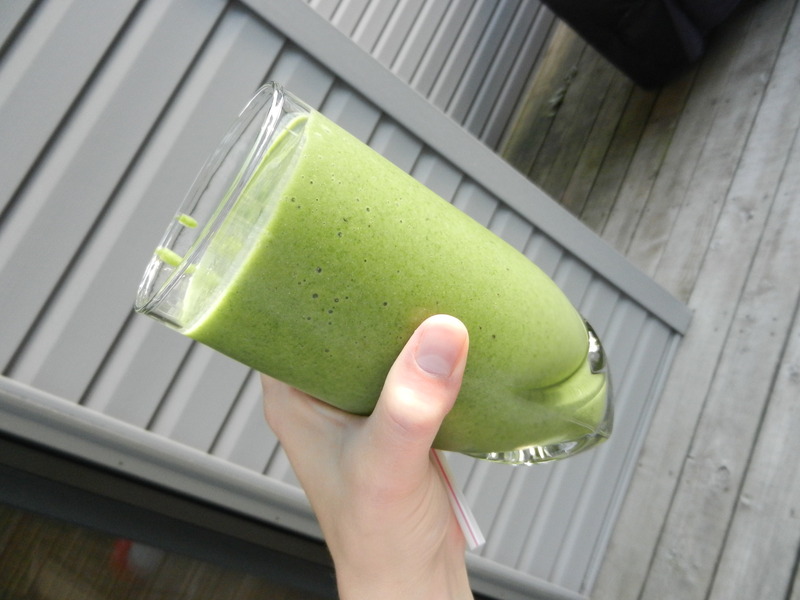 Since then, I made a smoothie Saturday morning and Sunday morning and with each creation I am improving my skills. However, there was ingredient that I really wanted to add: strawberries. As mentioned before, berries are a no-no for me right now because I can’t eat the seeds, but I was determined to find a way to add them to my smoothie. I decided I would experiment a bit. 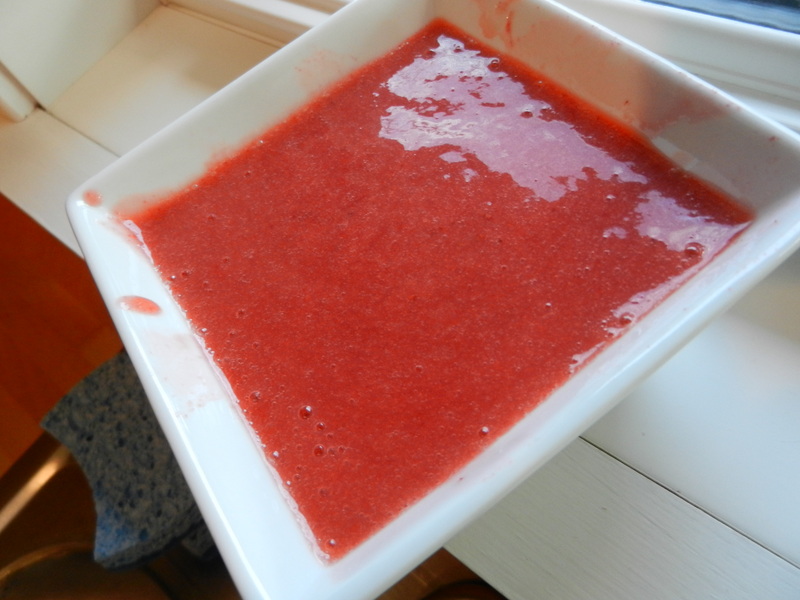 I pureed them in the blender, then poured them through a small sieve, strained the puree through, and caught the seeds in the sieve. It worked like a charm and I ended up with this beautiful red concoction. 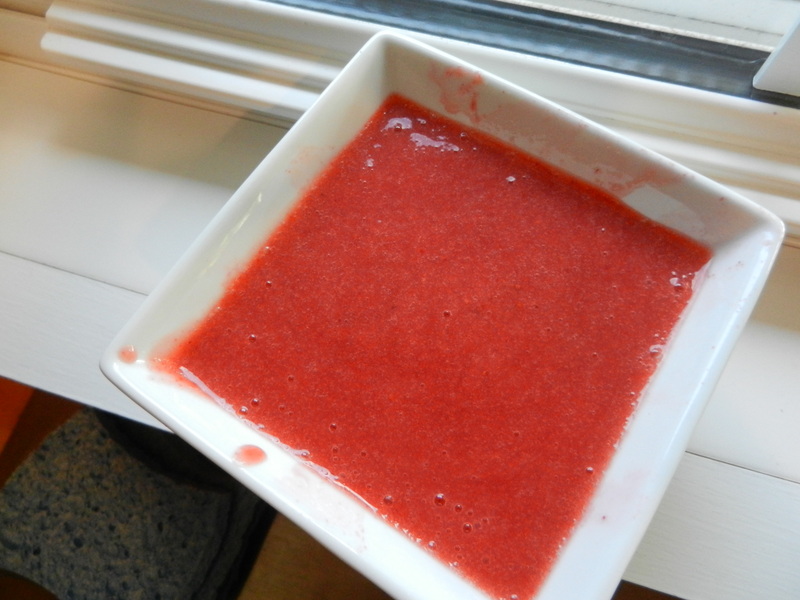 I added 3 tablespoons to my smoothie on Sunday morning and it completely changed the flavor, for the better. 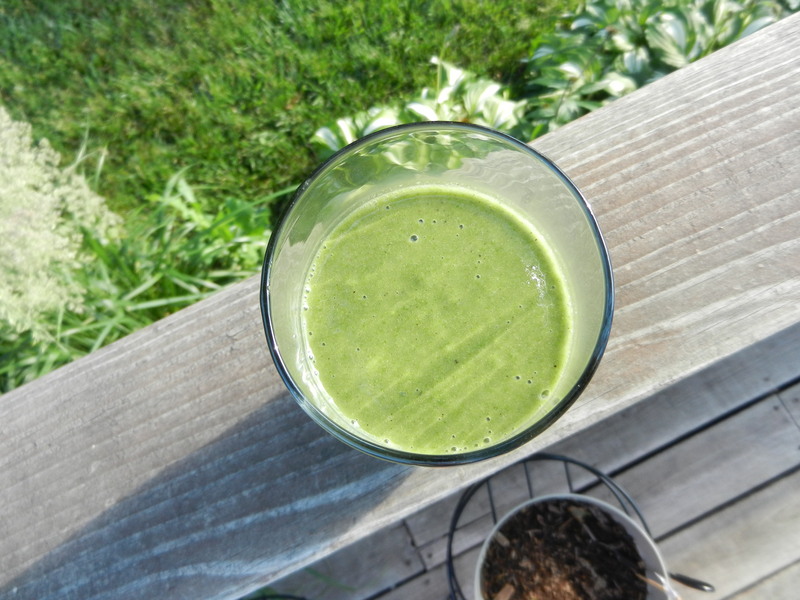 In the Sunday morning smoothie mix was frozen mango and peaches, half a banana, cooked spinach, hemp protein, the seedless strawberry puree, almond milk, and a pinch of stevia. Way better. I am on to something! After my smoothie I hit the living room for a gentle yoga session. Then, Dana and I ran to the grocery store, and came back home to hang out with my bro and Nicole before they headed out for the weekend. We made them killer egg burritos Sunday morning and I am kicking myself for not taking a photo. In the afternoon we headed to my cousin’s house for a surprise 30th birthday party. It was SO nice to be with my cousins and hang out with them and my cousin’s adorable baby girl, Evie. Jen pulled off a great surprise, hosted a wonderful party, and supplied a seriously awesome spread of food for everyone. 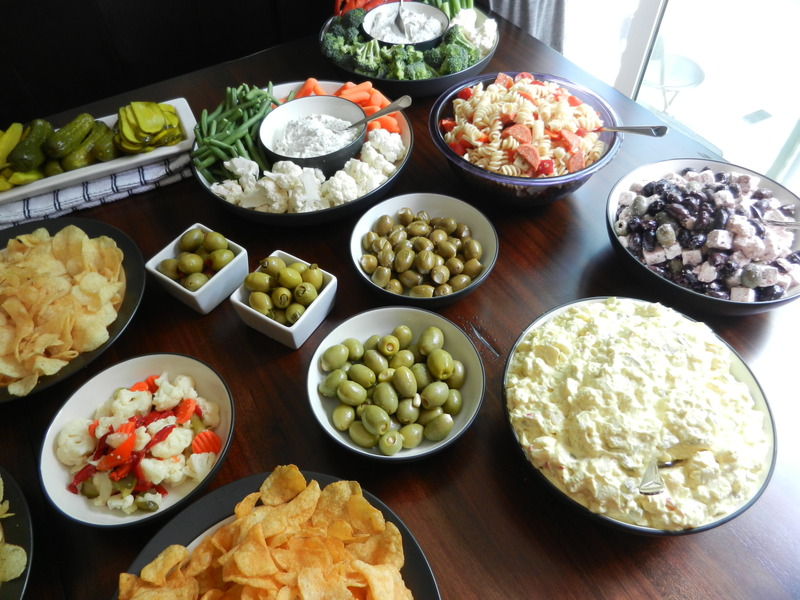 Olive and feta salad, Italian pasta salad, veggies and dip, pickles, pickled veggies, stuffed olives, potato salad, chips, burgers and brats. We stayed for a couple of hours before heading out to get some things done before the weekend was over. On the way home, we stopped at Petco and got $5 back on dog food because it went on sale yesterday and we had bought it the Sunday prior not on sale. Cha-ching! Five dolla make you holla. It pays to read the those Sunday ads. We spent some time with the pup in the backyard and took him for a walk around the neighborhood. I also worked out to an On Demand Walk and Sculpt 24 minute video. I was completely skeptical but I ended up really enjoying it. The instructor kept you walking the entire time as you worked with light weights to sculpt the upper body. I am lovin’ these On Demand workouts lately! The rest of the night was spent finishing some laundry, planning a day trip around the 4th of July (more to come), and oh yea, I whipped up another smoothie. Oh my gosh am I becoming obsessed? I wasn’t very hungry for dinner but wanted veggies in a bad way. I also knew I needed more protein and I just happened to have some tofu in the fridge. 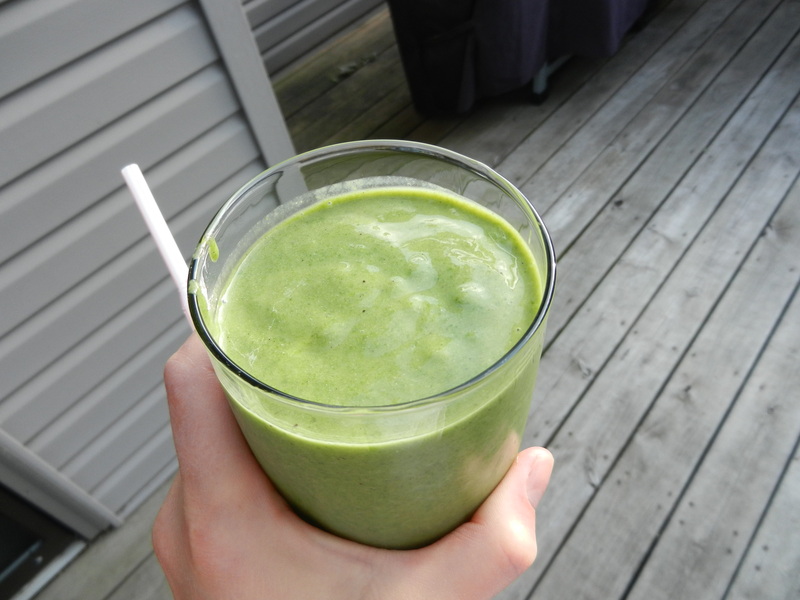 Into the blender: frozen peaches, fresh mango, half a banana, spinach, V8 Fusion Strawberry Banana, almond milk, tofu and a tablespoon of hemp protein. This smoothie was the bomb. It was thick and creamy and protein packed. Melanie is getting her 5 a day one way or the other. This two smoothies in one day thing probably won’t happen too often, but it sure was a smooth and tasty day. For dessert I ate a spoonful of peanut butter with two squares of dark chocolate and later munched on a few handfuls of pretzels. This entry was posted in Breakfast, Family, Workouts by Melanie. Bookmark the permalink. I’d like to put my order in for the protein shake-Yummy!